After an eyelash extensions application, there will be a need for refills after every three weeks. This is because lash extensions fall off just like the natural lashes and one will need to replace the lashes that have fallen off to maintain the look. Eyelash extension is a delicate affair as any wrong move will ruin the natural lashes. Every time eyelash extensions are removed, some bits of natural lashes will come off with the lashes and if this continues for a prolonged period without giving the natural lashes a chance to breathe and grow back, you may lose your natural lashes. To ensure that no damage is done to the natural lashes during the time that you will have the lash extensions on and during their removal as well, ensure that you get the right person to conduct every step. A person who is not a professional may try to pull off the lash extensions before the lash glue remover is completely soaked. 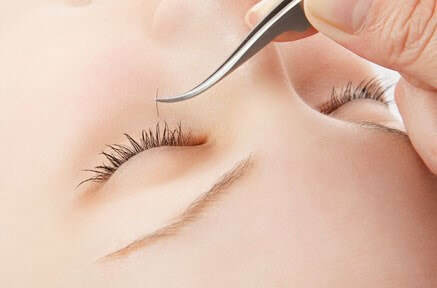 If this is done, the removal will be uncomfortable and there is a possibility of pulling off the natural lashes as well. A professional aesthetician will use the right glue for the application of the refills so that they will not have a negative effect on the natural lashes. After a series of refills, you should give the natural lashes some time to grow back and have a breath of fresh air. This way, you will always have natural lashes on which the lash extensions will be applied. Do not wait until the aesthetician tells you that you no longer have natural lashes on which the lash extensions can be attached before deciding to give them a break. Though the new look with the lash extensions is addictive, you will require some time to take care of the naturals after every few months. You should also ensure that the refills are applied in the right manner so that they will match with the lashes that were initially applied.